Youth Baseball Instruction at H12 ACADEMY in El Cajon. EL CAJON (3-1-2018) – My late father, Bill Dickens, first introduced me to SCOTT “HOPPY” HOPGOOD a little over three years ago. 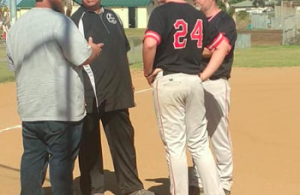 I had inquired about writing a special feature on someone that was a former player and that was giving back his baseball knowledge back to his east county grassroots. I recall having one of the most educational baseball conversations with a down-to-earth gentleman, as I listened attentively as a reporter for the East County Californian. I ended up asgaining a valuable baseball guru who knew all or at least how to reach some of the best players and coaches in the game. “I even remember your father, Bill D, players, and all the tools I needed as I began my coaching career at West Hills, the how-to manual if you will,” Hopgood said. Hoppy has now been a baseball instruction guru for a little over three and a half years. “There are two baseball instructional institutions in the east county of San Diego, Sportland and H12 ACADEMY,” said Hopgood. 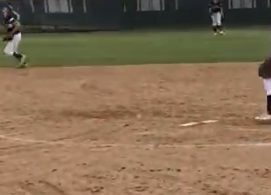 The H12 ACADEMY offers so much more though, they call it HIT TRACK, utilized for the PREP BASEBALL REPORT, a scouting service for would be college baseball players. The Prep Baseball Report, founded in 2005, is one of the United State’s most respected and largest scouting services, which is also independent. PBR’s main goal is to provide a year-round service in over 30 states. The mission of the Prep Baseball Report is to assist in the scouting of high school baseball, assisting them in achieving their goals of playing baseball at the next level. “Basically the H12 ACADEMY has taken on a bigger entity, to assist the players that may be a No. 2 type player, overlooked as he is not the No. 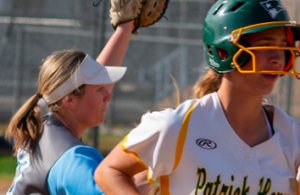 1 draft pick, but the number 2 player will now be recognized as the player who assisted in the success of the 25-game winning pitcher,” said Hopgood. “In a nutshell, we took a dream of mine, I figured it would be a success to assist in just paying the childcare bills and generating a few extra dollars. The invitation is there to check out the H12 ACADEMY, which as I personally saw for myself, the demand for his expertise, along with his fellow partners and former professional players, DALLAS SIEDEL, NELSON SIMMONS, ANDY PERRINO, and many more. 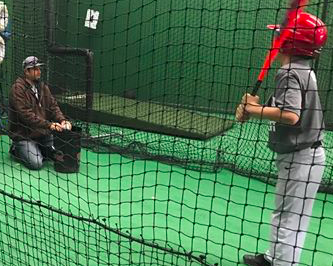 All of Hoppy’s fellow training and development team are all true professionals that provide the second-to-none training from the beginning t-ball players to your talented high school player that is looking for that fine tuning, tied in with the Prep Baseball Report opportunity, to maximize your prep player’s potential. Hoppy and his happy team of professional instructors are conveniently open Monday through Friday 3 pm-8 pm. H12 ACADEMY is averaging 30 lessons per instructor, not including sometimes five teams, 16 lessons. These community-oriented instructors average more than 200 lessons, and that is a modest figure. “My well-qualified instructors make it simple, fun, and productive. My instructors teach the kids to be their own best coach,” said Hopgood. 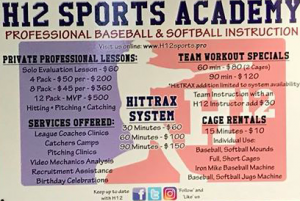 HITTRACKS, team, 1-on-1 lessons, adding speed and agility, H12ACADEMY along with newly added entity, the Prep Baseball Report, is outgrowing their current facility, which will soon be adding the entire building in the future. In the very near future two cages will be added to assist in the immediate need of the facility. Go see Hoppy Hopgood and his amazing team, I have added some video and photos to assist in the visual of the next step closer to your son or daughter perfecting their game. Make sure you tell Hoppy you brought him a fresh red burrito, extra cheese and lettuce, you will become his new best friend.